Mike’s career history includes over 33 years of providing professional accounting services. He moved his public accounting practice to Lebanon, Tennessee in 1979 and developed a substantial accounting and tax practice there prior to merging with KraftCPAs in 1997. At that time, Mike became the member in charge of KraftCPAs Lebanon office. He retired from KraftCPAs and became a financial advisor with Raymond James Financial Services located at Wilson Bank & Trust in 2003. Mike has considerable experience in tax research and planning and has handled many IRS audits and inquiries. In addition to tax, accounting and audit experience, Mike has assisted a number of small business owners and individuals with significant net worth in developing comprehensive financial and estate plans. He has worked with several religious and educational organizations in establishing major planned charitable giving programs. Mike has also coached dozens of small business owners in methods to grow the size and value of their businesses while greatly improving their quality of life. 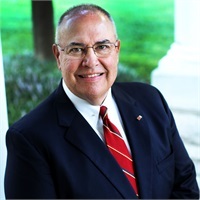 Mike graduated from Middle Tennessee State University in 1974 with a bachelor’s degree in accounting and was licensed by the Tennessee State Board of Accountancy as a Certified Public Accountant in 1976. He received his certification as a CERTIFIED FINANCIAL PLANNER™ professional from the International Board of Standards and Practices for Certified Financial Planners in 1991 after passing an exam covering five segments of personal financial planning: insurance/risk management, investment, tax, retirement and estates. Mike received his Series 7, Series 66, life and health licenses in 2003. He continues to receive at least 40 hours of continuing professional education in accounting, financial planning and taxation each year. past president, Rotary Club of Lebanon Foundation, Inc.
Mike is regularly invited to speak to various business, church and civic groups. His talks cover matters related to institutional investment strategies, tax-wise charitable giving, how to develop businesses while improving the quality of life, and comprehensive planning for income, estate and gift taxes. * CPA service is not a service of Raymond James Financial Services, Inc. Certified Financial Planner Board of Standards Inc. owns the certification marks CFP®, CERTIFIED FINANCIAL PLANNERTM and federally registered CFP (with flame design) in the U.S., which it awards to individuals who successfully complete CFP Board's initial and ongoing certification requirements.